FIFA releases full-length film celebrating World Cup Highlights with the sport’s brightest stars of the last 85 Years - now available on VOD & DVD. 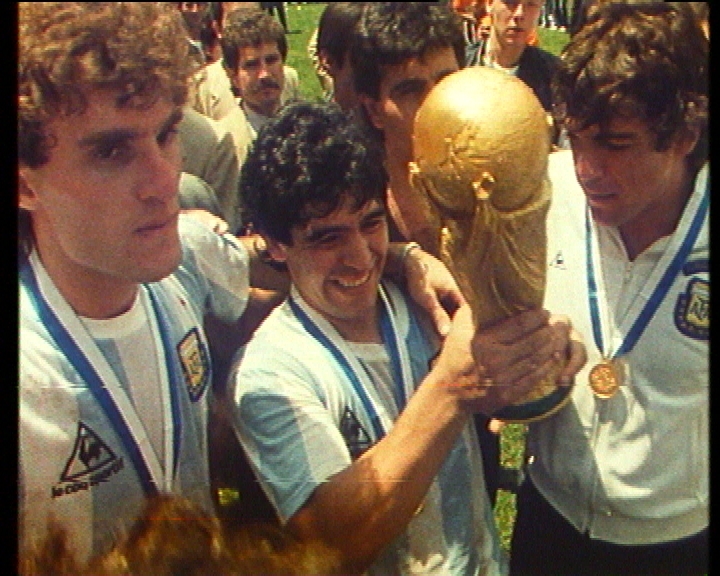 Gold Stars: The Story of the FIFA World Cup Tournaments now available on VOD & DVD! 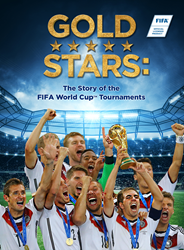 Vision Films in partnership with FIFA Films are proud to announce the release of Gold Stars: The Story of the FIFA World Cup Tournaments. Now available on DVD and Video on Demand, FIFA fans will be able to watch the best moments from their favorite game! Gold Stars: The Story of the FIFA World Cup Tournaments relives the most memorable moments from the last 85-years of FIFA Tournaments exclusively from the FIFA Films archive. Ranging from the 1930 FIFA World Cup Uruguay™ to the FIFA U-17 World Cup Chile 2015™ and featuring the biggest names in FIFA history. This film is a must-see for both football enthusiasts, and sports fans alike. Featuring some of the biggest names in FIFA history including Pelé, Diego Maradona, Gerd Müller, Abby Wambach, Homare Sawa, Cristiano Ronaldo, Neymar Jr., and Lionel Messi, Gold Stars is packed with Top Ten segments, FIFA facts, the icons, the greatest matches, and the most amazing goals. FIFA Film’s Gold Stars will delight audiences by immersing them within the action and history of football's most famous tournament. Gold Stars: The Story of the FIFA World Cup Tournaments consists of three (3) hours of the best of the World Cup, plus another 85 minutes of bonus segments. Available now on Digital for a SRP $9.99 - $12.99 to Rent; or $19.99 - $24.99 to Download to Own across all platforms. Fans may also purchase a 2-disk collectors DVD for $24.99.